New Bloom I, II, and III is a set of prints depicting three roses. The color and general form (A square inside of a circle) of the prints is the same, but like living roses, each one is unique. The style of these prints is an exploration of the design techniques I have developed over my career as an artist, but in a much more unrestricted way than my former designs. In New Bloom, I chose to allow my sense of design to flow in a liberated fashion and didn’t restrict myself to the usual conventions of Coast Salish art. This gave these prints a unique style and made them very distinct from my former work. But my history as a Coast Salish artist still gave these designs a Northwest Coast feel. I plan to explore this style further in the future and this is why I gave the prints the title New Bloom. Like flowers blooming in spring, I believe that this exploration will bring freshness to my artistic journey and hopefully it will continue to grow into something unique and beautiful. New Bloom I, II, III are also available as a set with matching numbers. 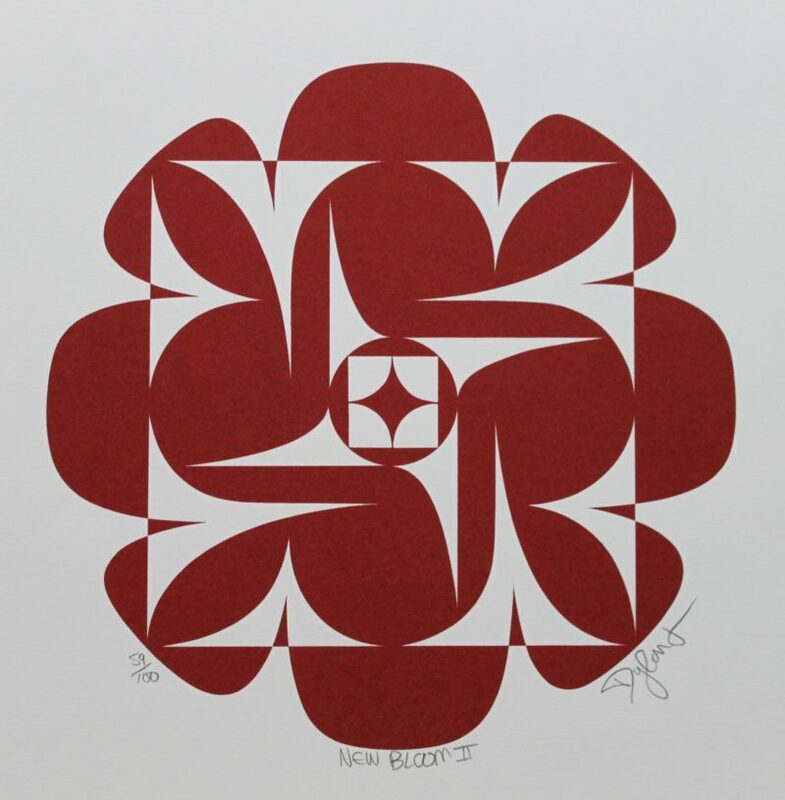 This limited edition silkscreen print titled "New Bloom I" by Dylan Thomas was hand produced by the screen printing process. It is the only limited edition printing of this design. The artist has inspected and signed each copy in the edition. All trial copies of this edition have been destroyed and the printing stencils obliterated.